In a committed effort to reduce environmental impact, CMC employee-owners created the Green Team to foster and promote green practices throughout the company’s daily business operations and culture. Efforts include water and waste conservation, recycling, and environmentally-friendly packaging and purchasing practices. The team recently adopted a commuter program and has donated excess and scrap materials as well as electronics to local organizations. CMC is certified as a Green Business in a Santa Barbara program that recognizes companies which go above and beyond required measures to serve as models of sustainability. Efforts toward certification include water and waste conservation through the elimination of plastic water bottles and a new landscape irrigation system. Other measures include recycling, installing more efficient lighting in our buildings, eliminating Styrofoam and reducing the use of plastic in our packaging. We also now offer the CMC Commuter Program where employees can log their trips, find carpool partners and access subsidized bus fares. At CMC Rescue, Inc., we have eliminated the use of Styrofoam in the packaging of our popular MPD. We have also selected a smaller and more durable cardboard box for the product. This ensures that the MPD maintains its integrity as it is shipped to you and also reduces our cardboard and plastic consumption. So, how can you reuse and rescue your CMC box? – Sharing this box with your employer if they make shipments or with a neighbor that is moving or needs a sturdy box to send gifts, etc. – Reusing the box and packaging to ship products that you offer to your end consumer. See our Rescue Box Program description below for more information on how to achieve this, and see the actual box for crush test rating, etc. 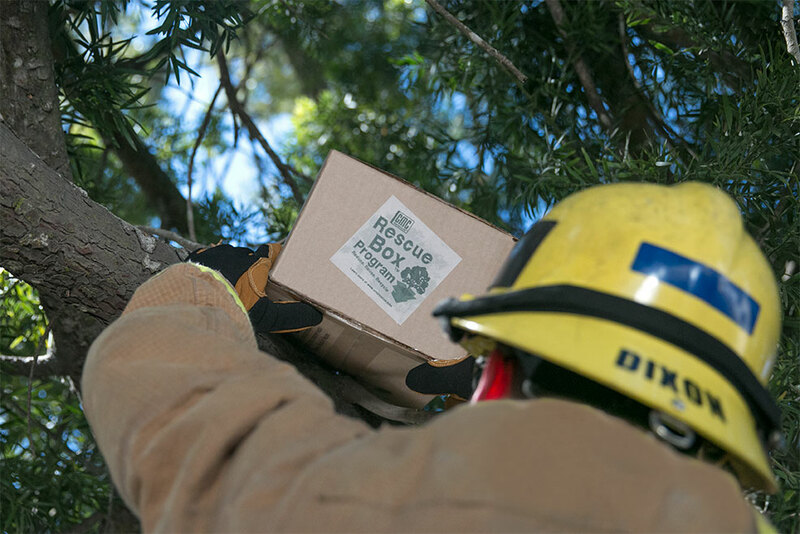 While our shipping boxes and packing materials are made of recycled content, in 2011 the Rescue Box™ was introduced and added to our overall Sustainability Program. 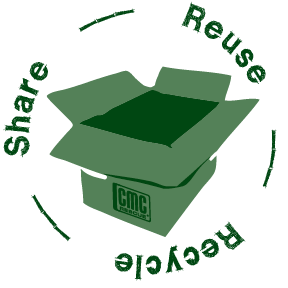 As CMC receives boxes that are clean, intact and reusable, they’re identified with a Rescue Box label and reused to ship customer orders. While these boxes may be less than perfect on the outside, they symbolize our efforts to tread lightly on the earth. So, the next time you see a labeled Rescue Box from CMC, you’ll understand its importance as a vital component of our ongoing commitment to conservation.